Old bills, letters with confidential information, and otherwise private documents — are these piling up in your home or office? If so, A1 DATASHRED is here to help. We offer both residential and business on-site shredding services five days a week. What’s the best part about our shredding services? We come right to you, so the only thing you have to do is call to schedule your appointment. When you give us a call, one of our friendly representatives will go over our different services so you can find the option that works best for you. We’ll answer all of your questions and provide you with a quote. Once that’s all determined, all you have to do is pick an appointment time. We’re available Monday through Friday, and we even offer next-day service for your convenience. We see no reason you should drive all your heavy papers to some location just to have them shredded. That’s why we offer mobile shredding services. On the day of your appointment, one of our trucks will arrive at your Gardner MA door, and the knowledgeable technician will transfer your files into one of our secured bins. The bin will be taken to our truck and raised directly into the truck, where it immediately is emptied into the shredder. To offer peace of mind during this process, we even have a viewing screen on the side of the truck for you to watch your records being turning into confetti. No matter the type of business, chances are you dealing with a lot of paper waste. Unfortunately, many of these excess documents can’t simply be tossed into the trash, as they contain sensitive client information. To avoid a privacy lawsuit, your best course of action is to call us in to help. We offer two tiers of service to assist you — purge services and schedule shredding. Purge Shredding Service -This is a one-time shredding option. Just call and make your appointment, and we’ll come out whenever you need us. This is good if you don’t have a regular need to destroy business records. Scheduled Shredding – This is when we come to your business on a regular basis to shred company papers. We offer once-a-week, twice-a-month, and once-a-month packages. With this level of service, we’ll even provide our locked containers that stay in your office so you can throw away paper directly in them anytime you need to. On the day of your service, we collect all the documents from each container and they are destroyed. We don’t want individuals to feel left out, which is why we also offer residential shredding. Did you know that most identity theft occurs from documents put in the garbage? You’re putting yourself in danger when you throw away your documents, so have us come by and shred them instead. You can watch us shred every last piece of paper for peace of mind.  With National Association for Information Destruction (NAID) AAA certification, a background-checked staff, and extensive confidentiality training, A1 DATASHRED is at your service, whether you’re a business or private resident. To schedule your appointment, just give us a call today.